I can see that making fruit galettes could easily become my passion. What I love about them is that they are rustic looking, taste so delicious, and look like they are much more difficult to make than they really are. 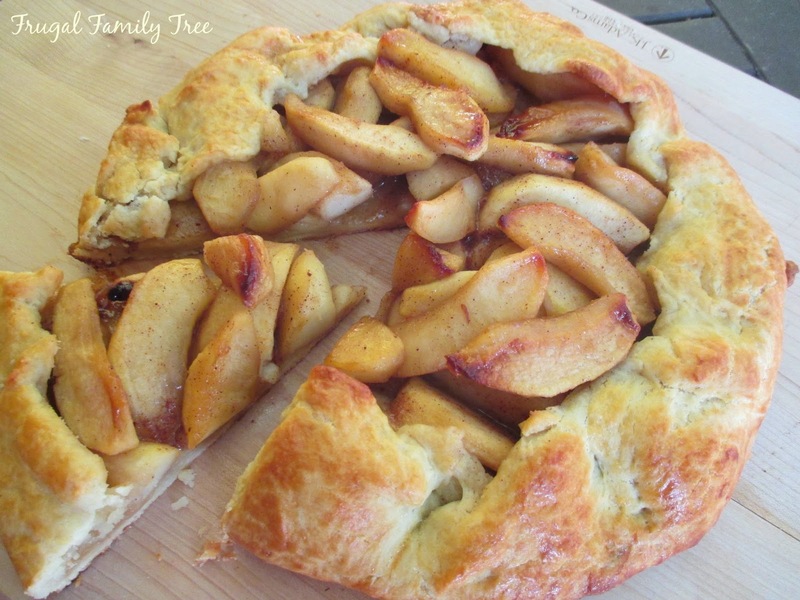 I discovered this recipe for the delicious crust from one of my favorite magazines, Cottage Living. Unfortunately, the magazine folded a few years ago, but I have held onto every old issue, and recently ran across the recipe. 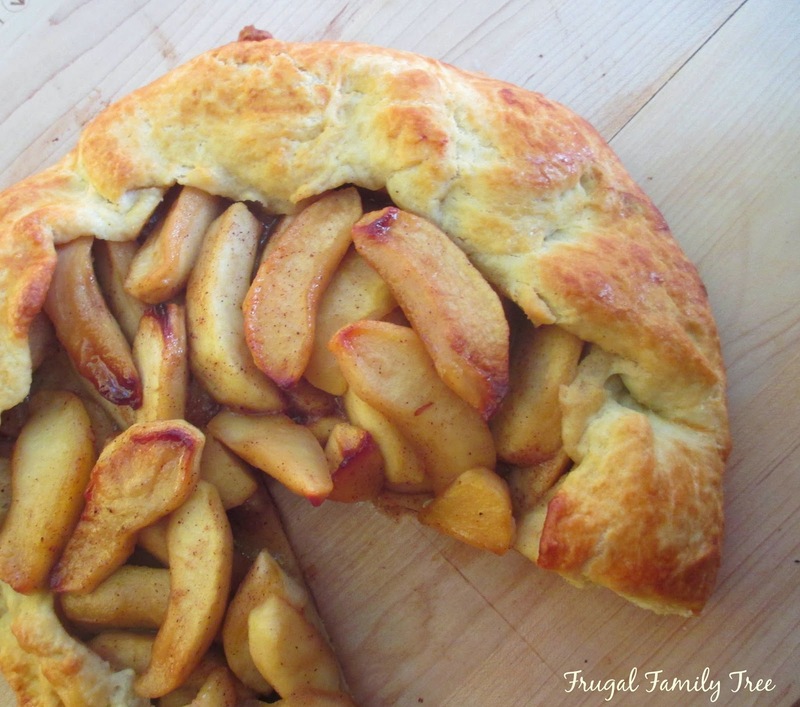 I guarantee you will adore this apple galette, and it could become your go-to dessert for a delicious dessert at home, or to bring to a picnic, or to someone you really like. 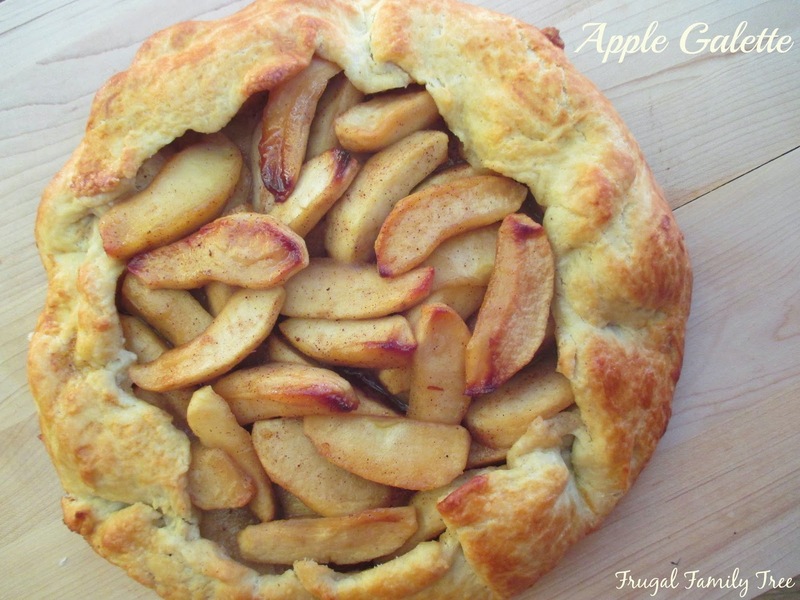 There is no worrying about making a perfect pie crust with a galette, and you can use differ kinds of fruit, or a combination. It totally impressed my family, and there wasn't a crumb left over. Peel and core apples; cut each in to 8 wedges. In a large nonstick frying pan over medium heat, melt 3 tablespoons butter. When butter is foamy, add apples and stir frequently until they are slightly softened, about 10 minutes. Sprinkle brown sugar, cinnamon, and nutmeg over apples. Stir into fruit, and continue cooking about 5 minutes, until liquid is syrupy and bubbling. 10-inch round. Place on a large, lightly greased baking sheet. Scoop fruit mixture into center of round. Bake for 40-45 minutes, or until golden brown. Let cool on pan 10 minutes, then move to a wire rack to finish cooling.